(Natural News) You may be increasing your fiber intake by unknowingly ingesting plastic, reveals disgusting new research by the Environmental Investigation Agency. From beer to tea bags, seemingly harmless everyday items may contain minute traces of plastics. If you thought that you were “safe” from microplastic pollution because you have been refraining from eating seafood, think again. Here are some items that may be coating your insides with plastic. A 2018 study published in PLOS ONE revealed that certain beer brands that used tap water from the Great Lakes had anthropogenic debris (mostly fibers that were between 0.1-5 mm in length). Researchers of this study found that the average number of particles found in beer was 4.05 particles/L. Globally, we consume around 180 billion aluminum beverage cans per year, primarily because of its convenience. However, both the beauty and curse of these items is that they need to have a plastic resin coating on the inside to prevent corrosion and still maintain malleability. For example, Coke, which is a highly corrosive substance, would corrode an ordinary can in just three days without this plastic lining. While the resin is usually made from epoxy, the coating may also be manufactured using vinyl, acrylic, polyester, or other curing catalysts. Certain proprietary blends may even contain a mixture of all of them. Either which way you look at it, the price of convenience may be that we are using products that may be leaching microplastics into its contents. As with drink cans, single-use disposable paper cups are lined with a plastic resin coating to prevent spillage. Most people are unaware that their “paper” cups actually contain plastic, but this is one of the main reasons why governments, such as those in the U.K., are looking at creating schemes to control the use of this item. While these cups are technically recyclable, their plastic component makes them extremely difficult to be reused in any other way. Regular Natural News readers know that most artificial sunscreen brands contain harmful chemicals that damage the environment. However, many of these same products also include plastics. 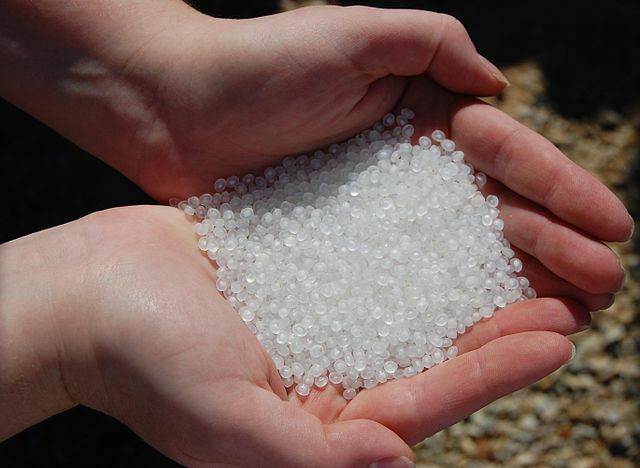 Recently, the U.K. government issued a ban on the use of microbeads in various cosmetics, such as “rinse-off” products like face scrubs and shower gels. Sunscreen, which is classified as a “leave-on” product, is not covered by this ban, however. Tea bags may contain plastic fibers and may not necessarily be 100 percent biodegradable. One good way to tell is to look at the color of your tea bag. Most tea bags have been bleached to be white, mostly for cosmetic reasons. Big-name tea brands may also opt to use heat-resistant polypropylene fibers to help in sealing their products for subsequent transport. Data already shows that microplastics threaten marine life, but what risks do they pose for us? Several studies have concluded that microplastics, defined as plastic particles that are less than 0.2 inches (5 mm) in diameter, have found their way into our food. A 2015 study that examined 15 different brands of sea salt found up to 273 microplastic particles per pound (that’s 600 particles per kilogram) of salt. Studies have shown that microplastics negatively impact human health, increasing the growth of breast cancer cells and even increasing levels of oxidative stress molecules in the liver. There is, likewise, preliminary evidence that shows that microplastics are toxic to the brain.